Se min kjole 3:48 6,40 kr. Den lille frække Frederik 2:01 6,40 kr. Godmorgen sol 2:20 6,40 kr. Tju bang chokolademand 2:55 6,40 kr. Hør den lille stær 3:23 6,40 kr. Jeg er en papegøje fra Amerika 1:51 6,40 kr. Jeg ved en lærkerede 2:20 6,40 kr. Mariehønen Evigglad 2:11 6,40 kr. Tyggegummikongen Bobbel 2:21 6,40 kr. Lille sky gik morgentur 2:30 6,40 kr. Jens Vejmand 4:07 6,40 kr. Elefantens vuggevise 4:45 6,40 kr. Solen er så rød, mor 2:43 6,40 kr. The three choirs in the DR Korskolen perform in both radio and television, at concerts and on CD recordings - often together with DR's other ensembles. Every season, the choirs can be experienced in a number of TV productions from the DR Koncerthuset, eg DR's Store Juleshow and Danmark synger julen ind as well as at concerts throughout the country. 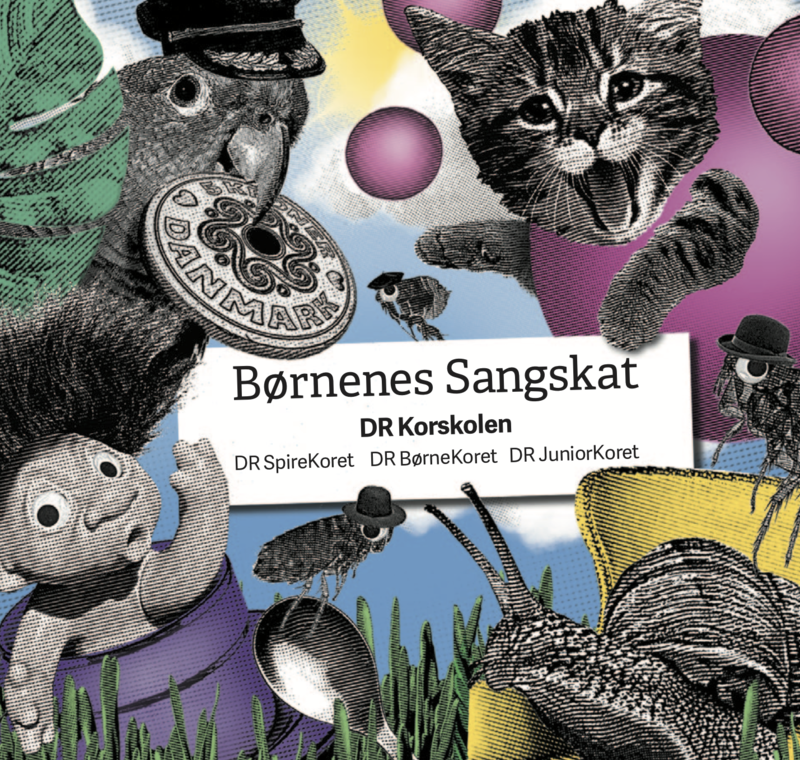 In addition to forming a framework for three rejuvenating choirs, the DR Korskolen is at the same time a pedagogical powerhouse in Danish music life. The choir's two conductors, Susanne Wendt and Clara Smedegaard, are often used as inspirers and teachers and conductors at courses, workshops and events in the DR Koncerthuset and around Denmark.